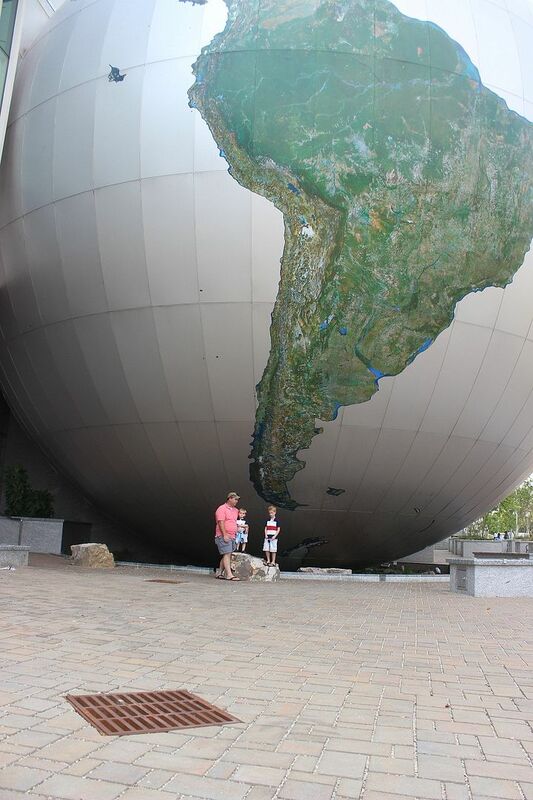 And now for the long awaited conclusion to our little mini-vacation to Raleigh. 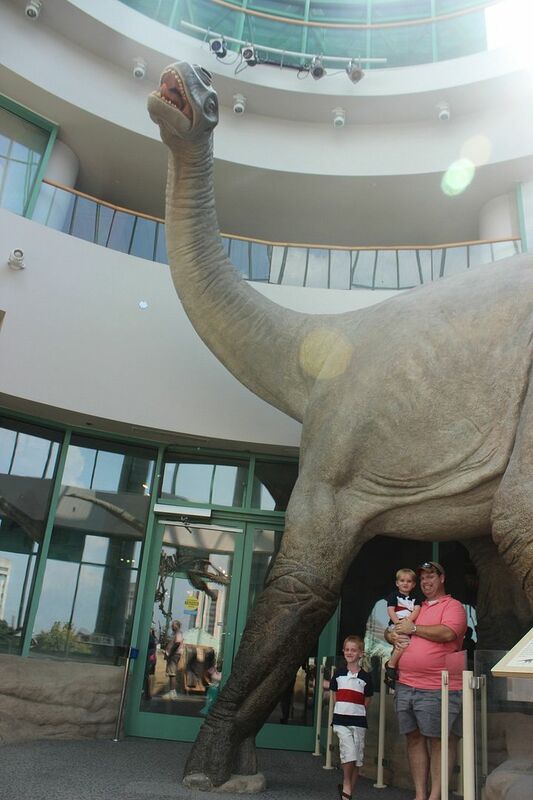 We spent the remainder of our Sunday afternoon at the Natural Sciences Museum. Let me tell you, this museum has come a long way since I was in elementary school and went on a field trip there. 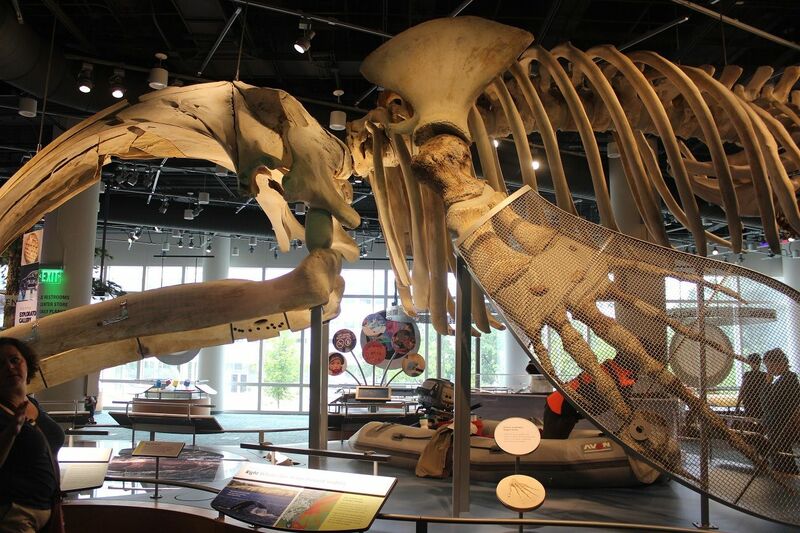 There are a ton of new additions and a whole new building housing lots of interactive exhibits. 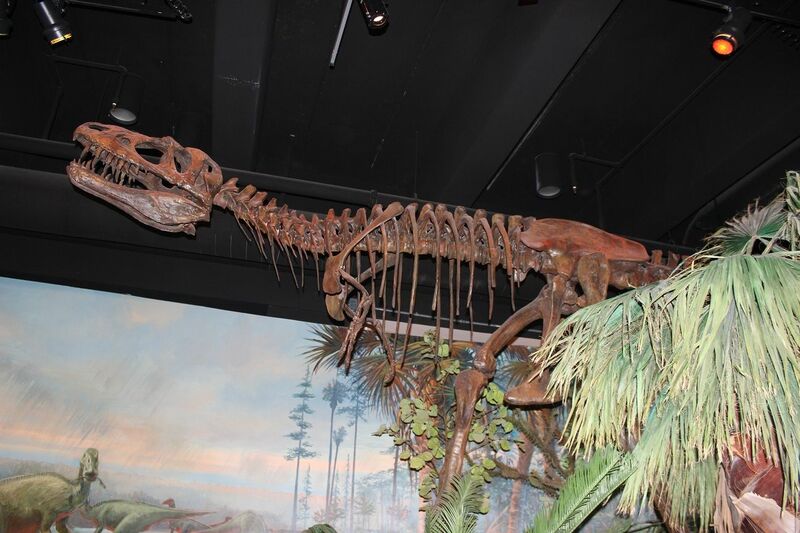 There has also been the addition of a real dinosaur skeleton which is kind of a big deal! The dinosaur skeleton was apparently donated by an anonymous donor...um, who wouldn't want the credit for donating a huge dinosaur to a museum? 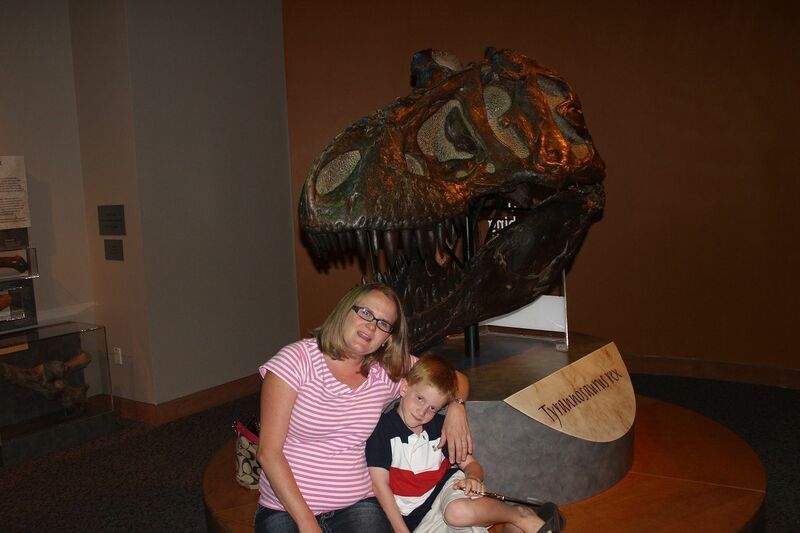 Evan has been wanting to see real dinosaur bones since before he was 3 and began having aspirations of being a paleontologist! 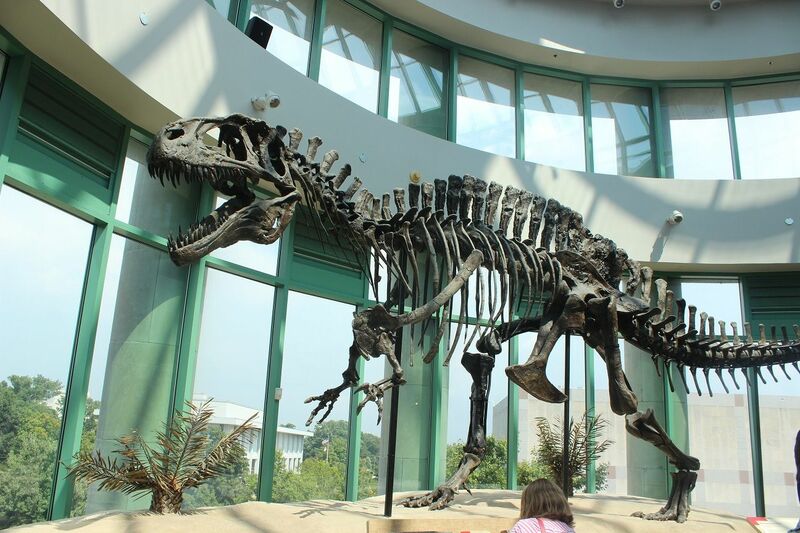 I was actually thinking we would have to make a trip up to D.C. to the Smithsonian or to NYC to see some real dinosaur skeletons, but after a quick google search, I was pleased to discover we actually had our own right here. There was also a special exhibit at the museum called Dinosaurs in Motion which was a bunch of giant replicas of dinosaur skeletons made from metal that were hooked to pulleys and electronic controls that we got to control and see how the dinosaurs moved. It was pretty neat although I actually think it was more fascinating to people with an interest in mechanical engineering. Several of the dinosaurs were controlled by video game controllers so Brody thought he was playing a video game and loved that. Ha! 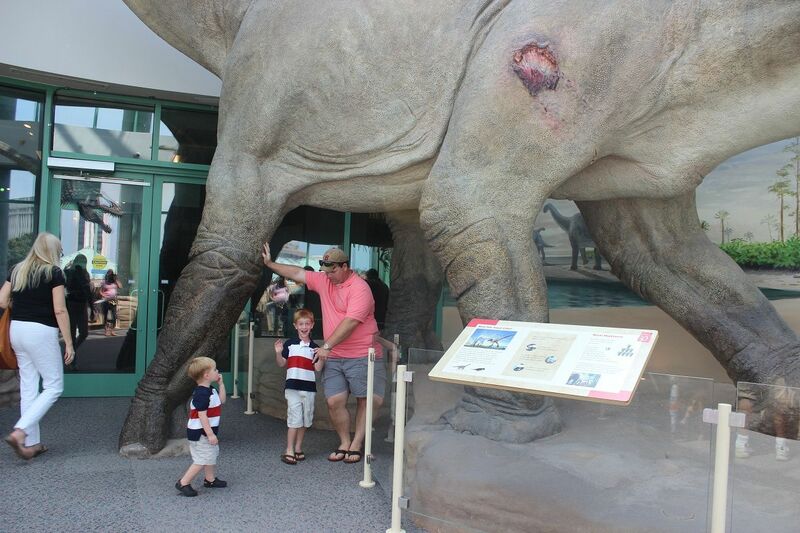 We spent the majority of our time walking through the real dinosaur and prehistoric exhibit since that is what interested Evan. 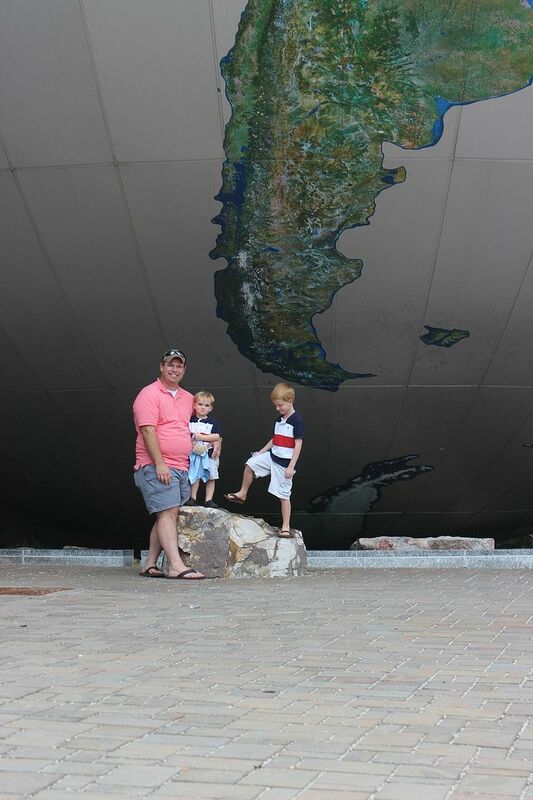 Yikes, the boys almost got squashed by a huge globe outside the museum! Whew, I'm glad that thing didn't start rolling! Man, I wish I could remember exactly what this was...some kind of whale. We just passed through this section which was in the newer part of the museum where it is more hands on exploration stuff. Evan and Brody heading across the connecting bridge between the two buildings. 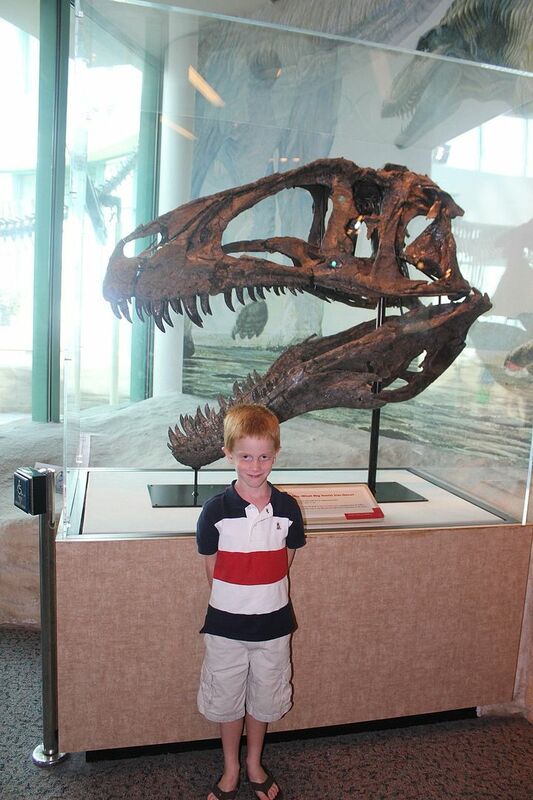 Evan posing in front of the real head of the Acrocanthosaurus. 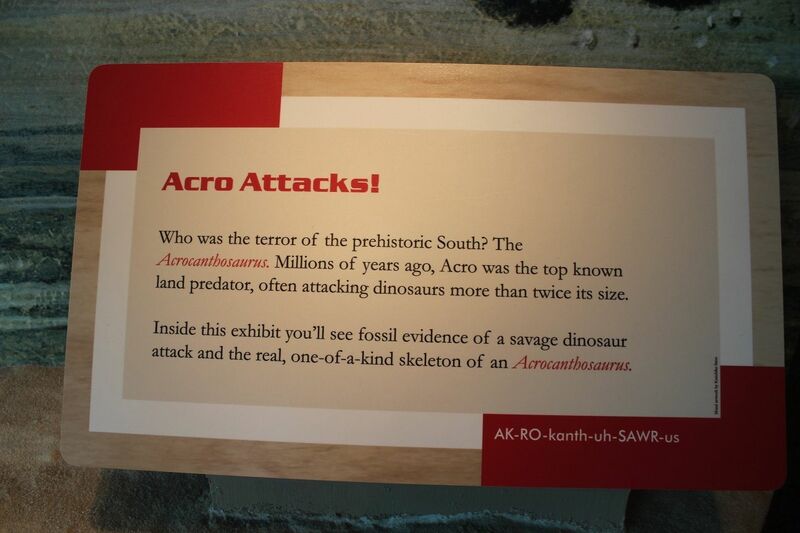 The Acrocanthosaurus on display has evidence of several injuries that are presumed to be from some kind of fight so they kind of re-created a dinosaur attack in the exhibit. The boys standing under the huge victim of the Acro. He looked so sweet I really felt sorry for him. I guess the head of the real dinosaur is so valuable that they don't want to risk putting it up on the fragile display so it stays in its glass box while a replica is put on display. There were little red lights marking the spots where Acro was injured (broken teeth, ribs, and a crushed foot were his ailments). 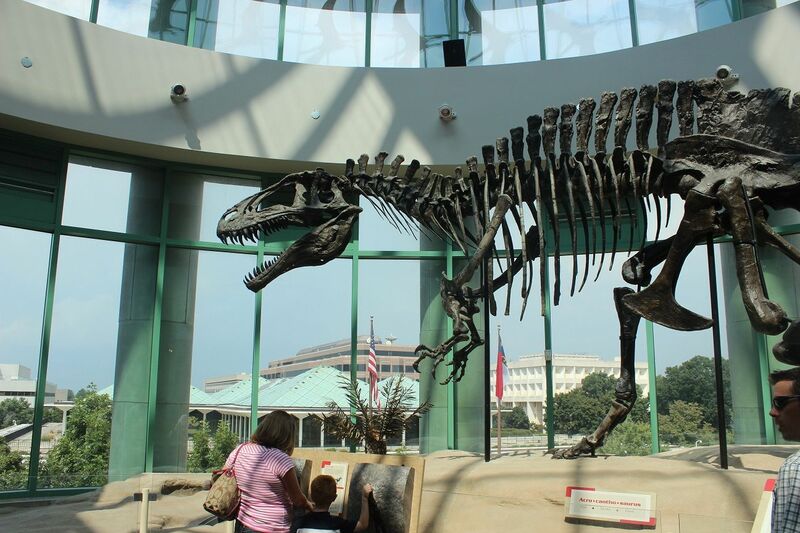 This Acrocanthosaurus is the most complete specimen of its kind on display in the world. It is a very rarely found species older than the T-Rex so very few have been found. He really looked sort of similar to T-Rex but with a spine more like a Spinosaurus. Brody was not having anything to do with picture taking. 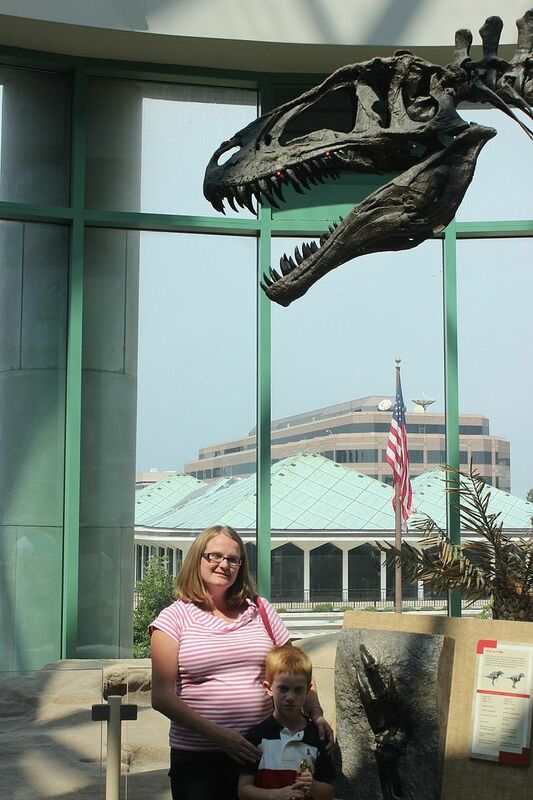 So me and my favorite dinosaur lover posed. And one with the head. 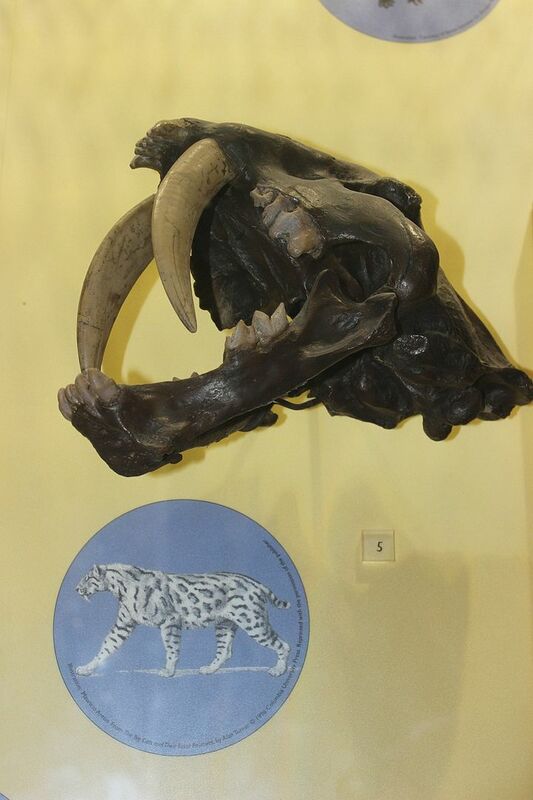 A skull of a saber tooth cat. Ewe, this one freaked me out! 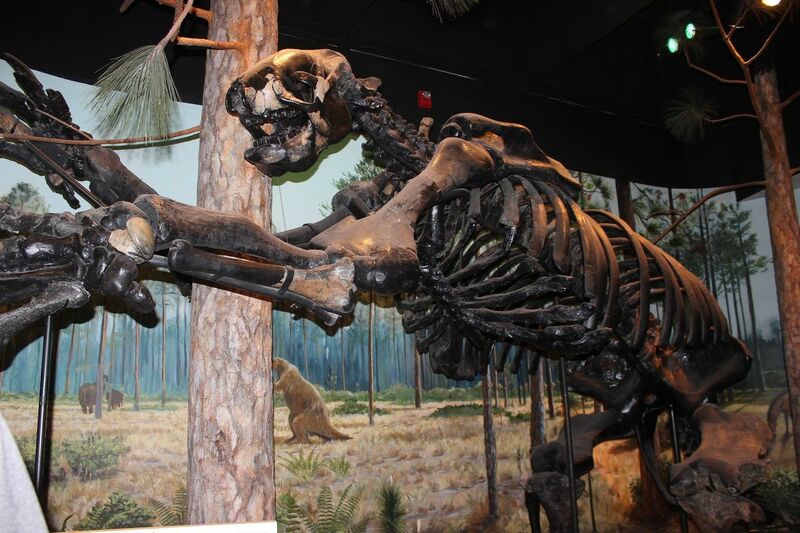 It is an old giant sloth. Freaky! I cannot recall what this one was. 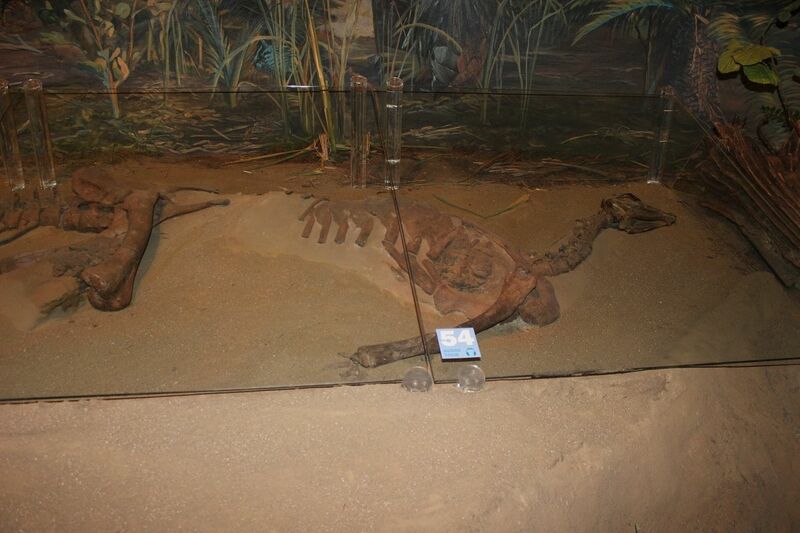 Willo, the fossil of a small, plant-eating dinosaur, is the most complete Thescelosaurus ever found. Willo’s 65-million-year-old fossil includes ossified tendons and cartilage. 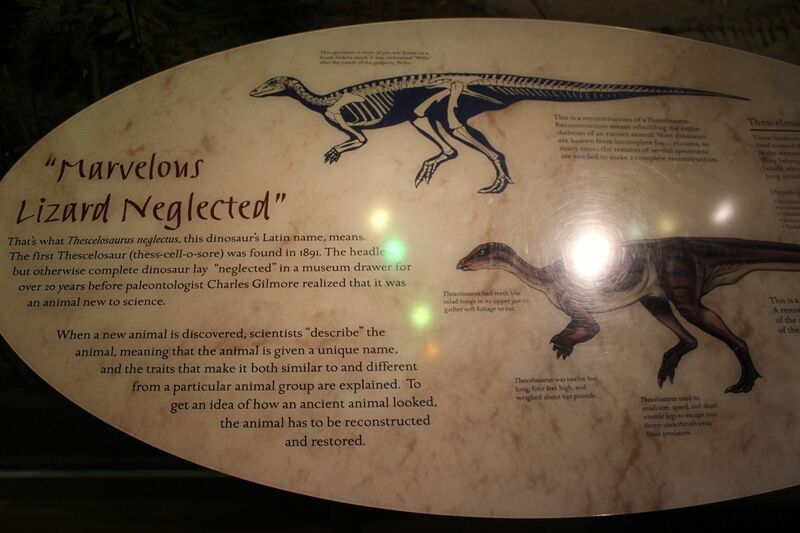 Apparently, his name means "Marvelous Lizard Neglected" because his bones were found neglected in some museum drawer. 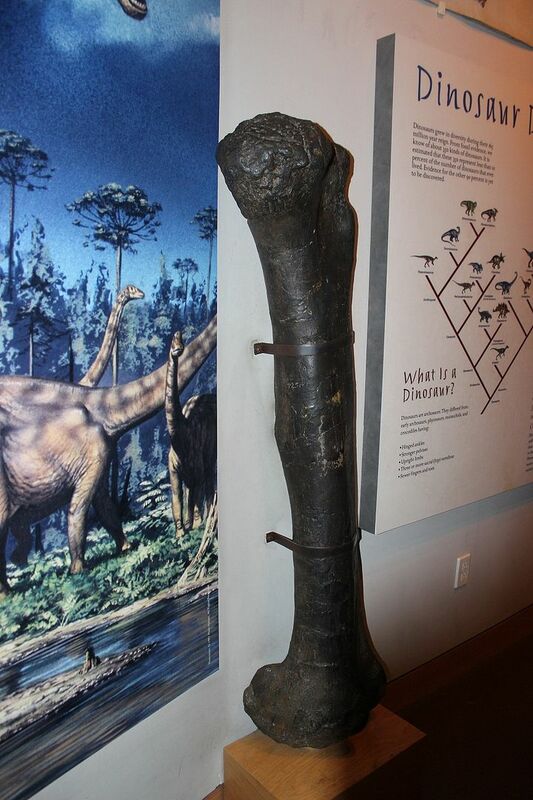 The giant femur bone of a huge Diplodocus. Diplodocus is the longest dinosaur known from a full skeleton although they think there was a Supersaurus who was longer. 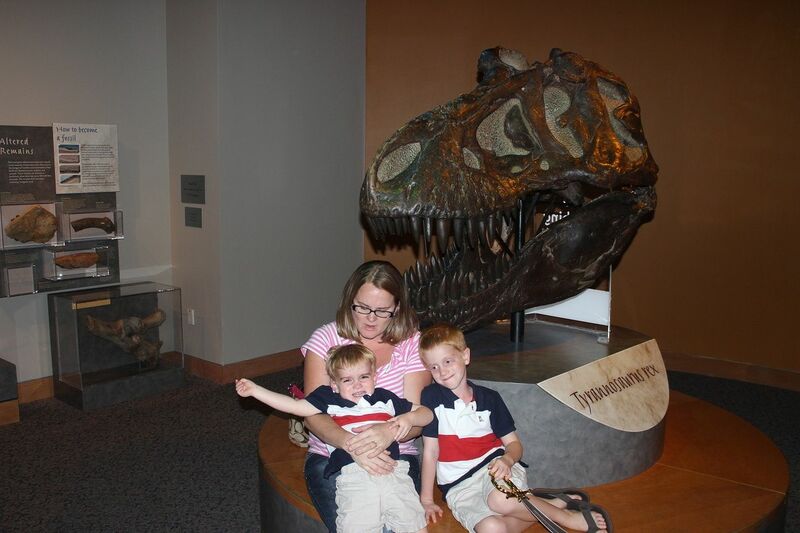 The boys posing with a T-Rex head. 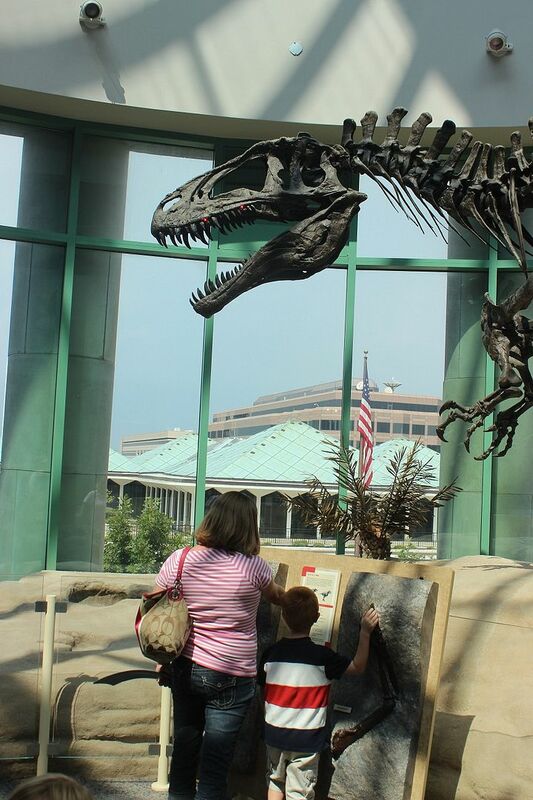 And one more with my future paleontologist. I tried sticking Brody's head in the T-Rex's mouth. Hey, he deserved it! Haha! 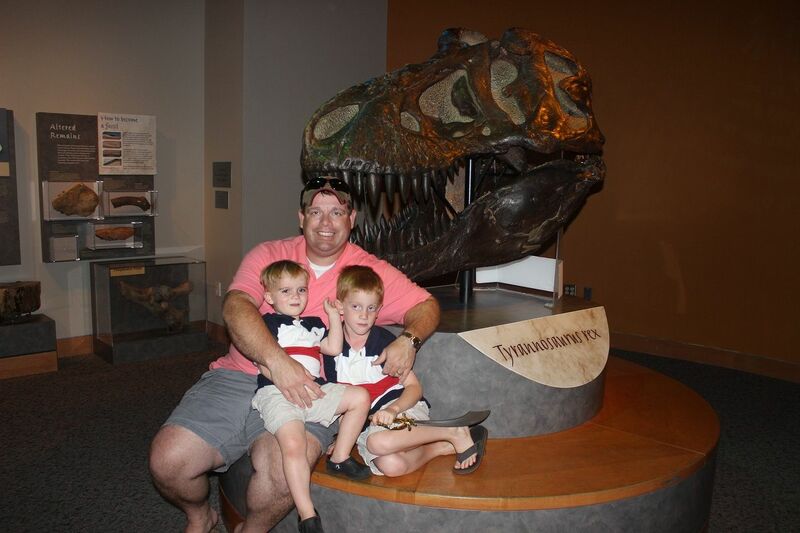 Although Evan really enjoyed this museum, I still think we will have to make that trip up to D.C. because Evan wants to see his favorite dinosaur buddy, Mr. Stegosaurus! That looks like so much fun!!! I can only imagine how excited Evan was. I'm glad that ya'll had a great mini vacation. What great family memories!! Thank you, Tracy! It was a really fun little weekend excursion. It was nice to spend time in Raleigh again as we haven't really done that in a long time except just passing through on the way somewhere. So cool. 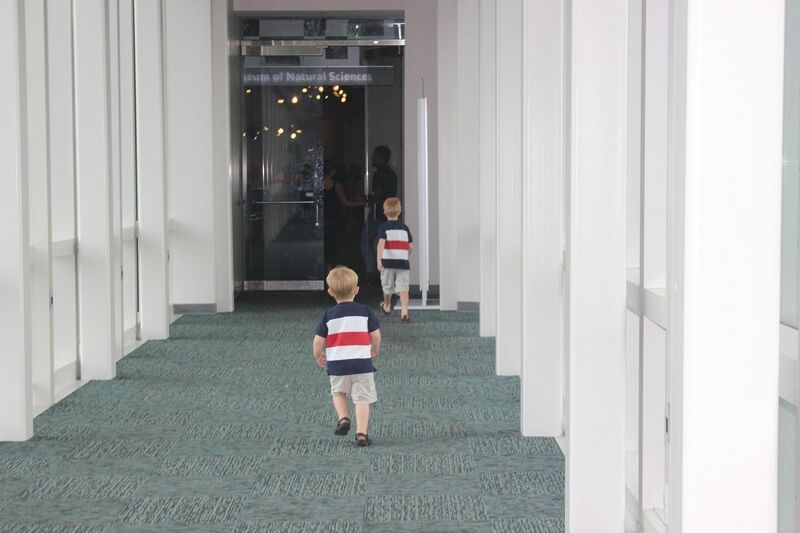 Going to see dinosaurs is such a boy thing. When Evan publishes his first book about dinosaurs he can put these pictures on the inside cover. It'll be awesome. 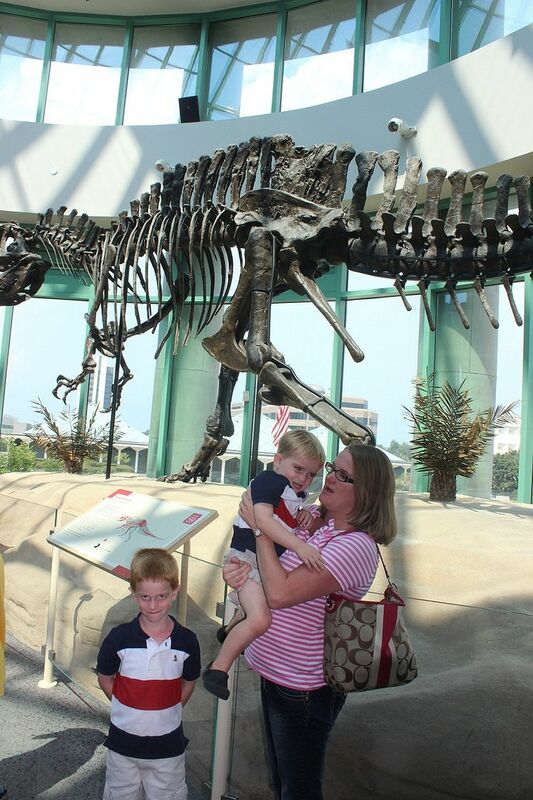 Yes, dinosaurs are definitely a boy thing, and Evan has been obsessed since he was 2. Brody actually likes them too although he isn't verbal about it. He just roars when he sees one. 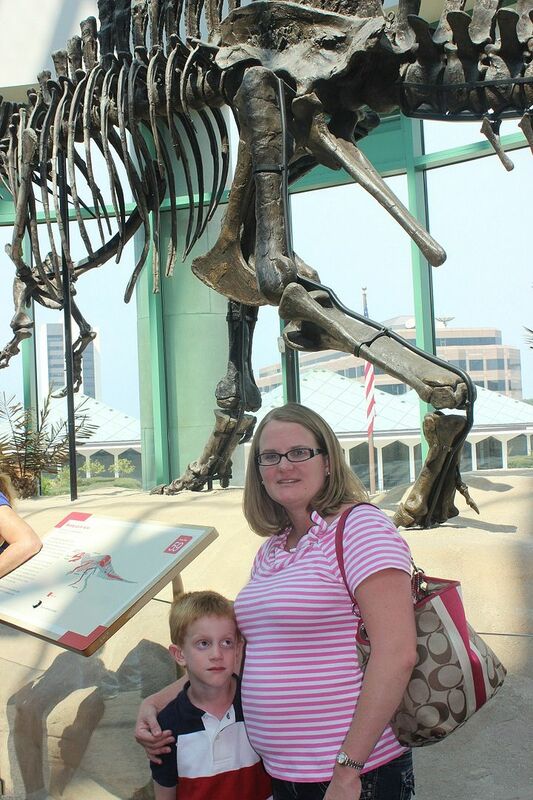 I had been promising Evan we'd go see real dinosaur bones for years so I'm just glad I could finally deliver. Haha!